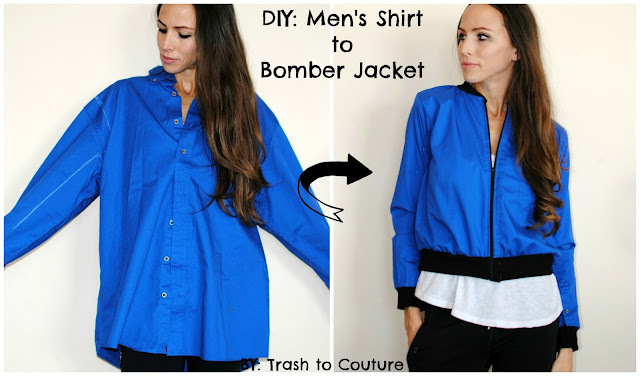 In this tutorial I show you how to refashion a men's shirt into a bomber jacket. My husband challenged me to update these old shirts into "something cool." 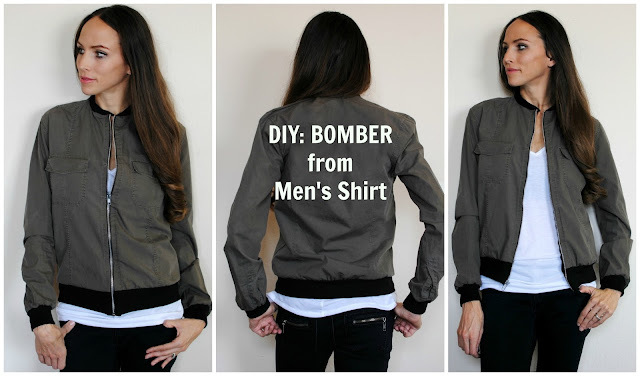 What's cooler than a bomber jacket? This technique is simple and quick with a great turnout. Now go hunt through your man's closet. The clothes she wears are beautiful. I'm in love with these amazing clothes you've refashioned. Therefore, I am amazed by people who adore DIY and I wish I did something hand-crafted instead of working on my reviews service. I love the idea, I already uploaded a tutorial and will learn how to do it as soon as I finish the research on Roy Maclaughlin's article on Resume vs LinkedIn I can't wait to see the result! Your blog is truly inspiring. I even came up with the other fashionable ideas. Keep up posting new ones. If you plan doins so, you can find title ideas for essays or consult essay writing services for help.